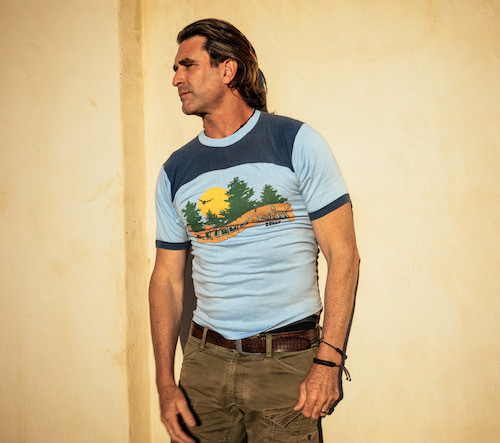 Australian singer-songwriter, Pete Murray has been announced as the headline act for the Leonora Golden Gift 2019 Community Concert on the 1st of June, 2019. Pete Murray is one of Australia’s most-loved and respected singer songwriters. He has sold out countless national tours and written 5 hit records that have amassed more than 1 million album sales to date. The talented musician has also achieved plenty of multi platinum singles with hit singles like 'So Beautiful’, ‘Opportunity’ and crowd favourites ‘Connected’ and ‘Always a Winner’. Murray released his most recent album, ‘Camacho’, in mid 2017 to popular acclaim and is currently working on new music to share with his adoring fan base. Event manager, Ross Johnson from Runner's Tribe said it is a pleasure to help bring entertainers of such calibre to the event for the local community and visitors to enjoy. "The Golden Gift concert has had some outstanding acts over the years and Pete Murray sits with the very best of them,"Johnson said. "The event is geared to give back to the hard working local community and to have them share in something special like witnessing Olympic athletes and world class musicians perform in their back yard." The community concert is part of the 17th anniversary of the Leonora Golden Gift (May 31st - 3 June, 2019) and will also feature a number of exciting activities for the whole family including horse racing, fireworks, market stalls, and street entertainment as well as the main feature, 'Australia's Outback Mile' as part of the athletics carnival. For the full event program click here. Athletics entries will open later this week. For travel and accommodation options click here.